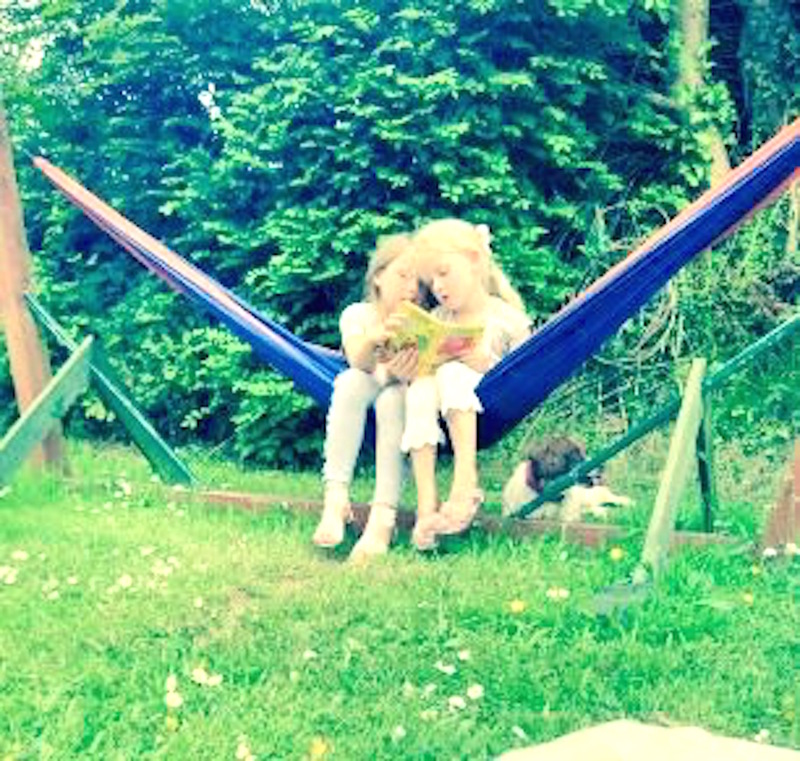 Granddaughters (aged 4, aged 6) in my hammock, reading a joke book. “Why did the chicken cross the road, roll in the dirt and cross back again? Grandchild 5 (aged 1) has a hot-tired-left-out grump going on so I scoop her up, the whole squishy chunk of her, and she snuggles her head to my shoulder. Plan: put blanket in the other hammock, to cover the bump of the knot work, to make a cozy nest. Problem with plan: forgetting this sling of string has been left out all winter and is likely to be perilously frayed. I hit the metal frame, G5 bounced unharmed off my ribcage, runs off wailing. The six year old retrieves her as Granma is caught in the net. Granma rather likes the one about the chicken. No surprise, considering my immature sense of humor, but I loved your granddaughter's joke. (And it's a new one for me!) I'll have to remember it to tell my grands. Aw... glad you're all okay. I fell through a chair with my baby nephew once - pretty scary for all involved, not least my sister! I have not been so lucky: I recently fell and fractured 4 of my ribs. Ouch. Well, it only hurts when I am not flat on my back in bed. I just wanted to leave you a comment because I consider you a very fine person and writer. I'm not really a part of the social media circus (I am a recluse in real life), so why should I pretend to be something else online? I got seduced into it all for a bit, but I think it is best for me to just pretend I am writing in my diary - and ignore all the silly insults and death threats: How did they find the secret key! Anyway, I admire and envy you in so many ways. I just wish you would post more often! 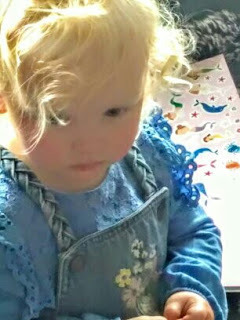 Broken ribs are mean - you can't do much about them, bit like trolls. There's no harm in being reclusive, particularly if it's who you are, and I'm pleased that the freedom of writing a diary was only a little dulled by the stupidity of death mongers.